MoliCare Mobile Pull Up Incontinence Pants are a comfortable and secure way to deal with moderate to severe urinary and faecal incontinence. They can be worn just like normal underwear, but feature a very absorbent core and leakproof barriers. Thin and discreet, this product is designed to be worn under clothes. The MoliCare Mobile is for active and mobile people that manange their own care, but it will easily cope with one or more full bladder voids. The cover is made from a textile like paper which is fully waterproof, soft, comfortable and quiet. 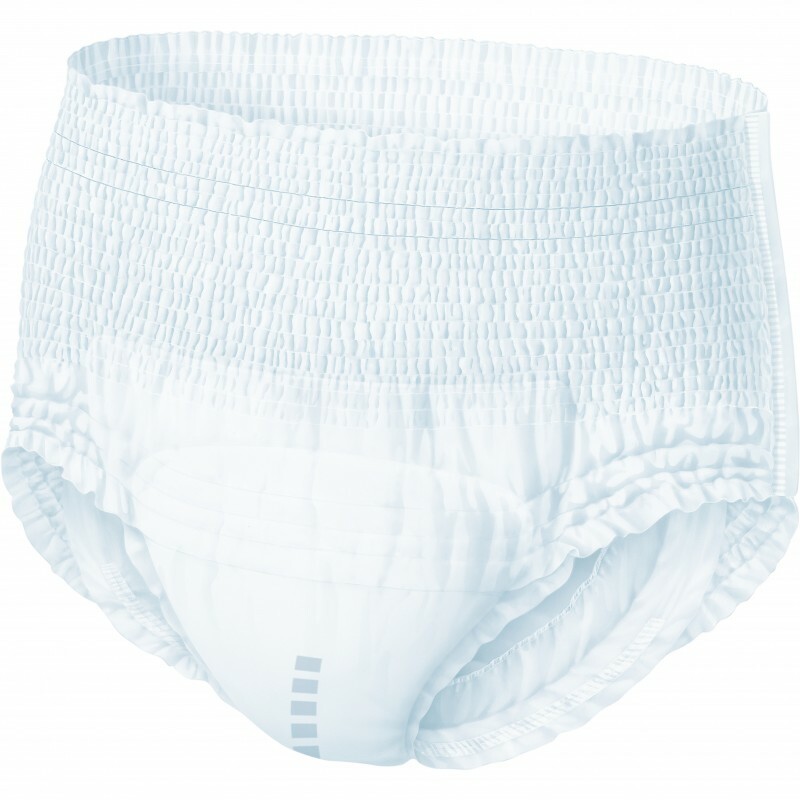 Some pull-up incontinence pants can get saggy when wet, but with these pants the wide elasticated waist band contains a high number of elastic fibers, meaning that the pants stay up. The body-fit design makes these comfortable to wear all day, whatever you are doing. See the size and absorbency guide below and then select your products using the menu above. Not all absorbency levels are available in all sizes. See the chart below to explore the range. Each pack contains 14 disposable incontinence pull-ups.